Two Year Pick-up, Emmy Win, and New Cast Members Keeps Days of our Lives Fresh and Innovative! 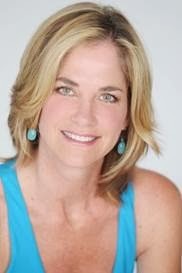 (Burbank, CA) Thursday, January 23, 2014 – Days of our Lives is thrilled to announce the casting of the show’s latest addition to the Days family, Kassie DePaiva. Known for her work on One Life to Live and Guiding Light, Kassie joins the cast as Eve Donovan on the heels of an exciting 2 year renewal of the beloved daytime drama. The two-time Emmy-nominated starlet brings a fresh dynamic to Salem society as we explore the many facets of the Donovan family like never before. DePaiva’s first episodes are expected to air this summer on NBC.